Being a landlord, sometimes certain conditions arise when you have to send an eviction notice to your tenants. Whatever may be the condition, whether it’s due to unbearable behaviors of the tenant, inability to pay rent or anything, as a landlord, sometimes it becomes difficult to adjust to such conditions. In such a case, an eviction notice example is sent to the tenants asking them to vacate the premises during a particular period. 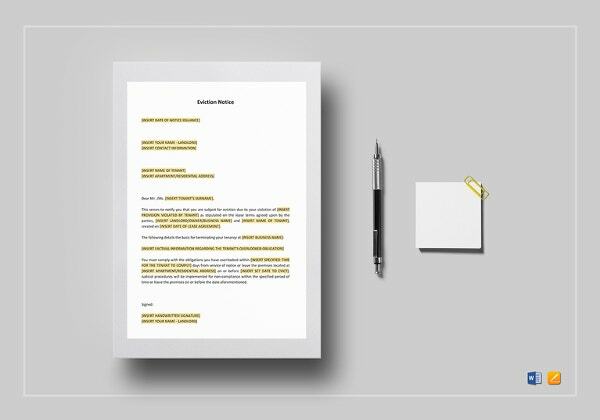 So if you are a landlord or an eviction service provider, you might need eviction notice templates to send to the tenants. 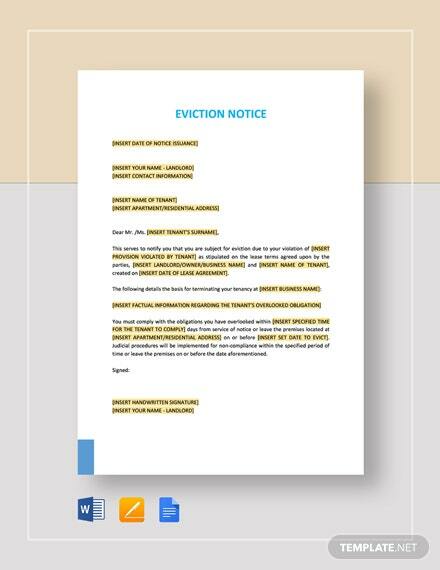 Check out these sample notice templates and get them downloaded for your eviction needs. 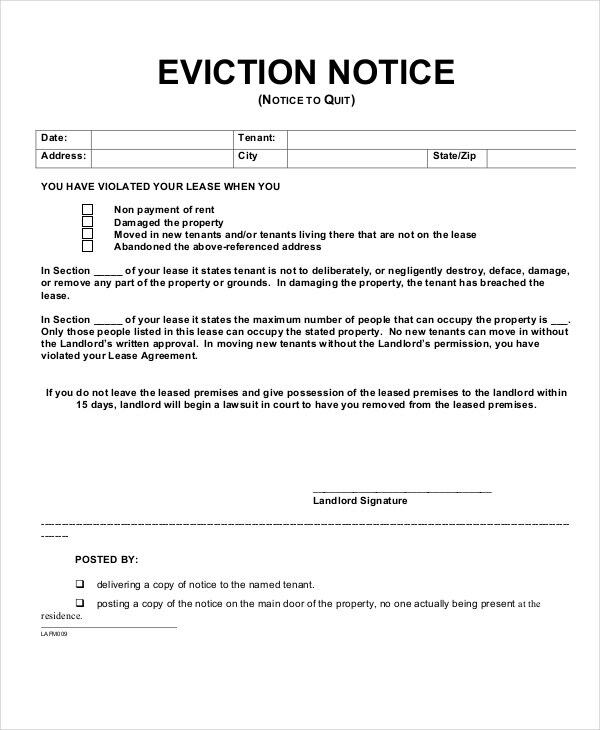 Get this standard eviction notice form downloaded online and create a professional and clear eviction notice for tenants to make them vacate the property. It has been created perfectly including all the necessary points. Download it now! 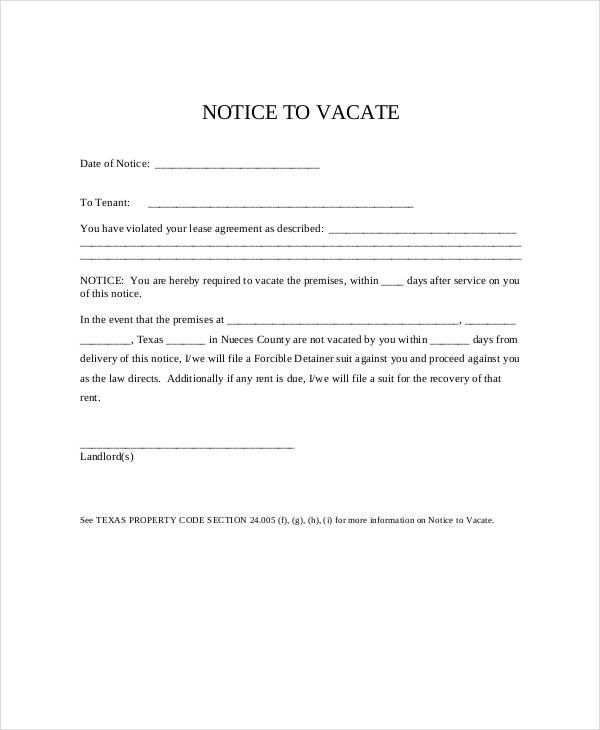 Here is a 3-day eviction notice form that would give you a great way to make your tenants vacate your property. It’s available in PDF format with details like tenant name, address, landlord name, address and more details. You can customize it easily. > What are the Uses of Printable Eviction Form Templates? Eviction form templates are a kind of written notice to the tenants on the behalf of landlord to vacate the space within the defined period. The reason for this request may vary condition to condition. For example, if a landlord feels that behavior of the tenants is not well, then he/she might send an eviction notice to the tenants or if a tenant is not paying rent regularly or on a timely manner then a landlord might send this letter to tenant. 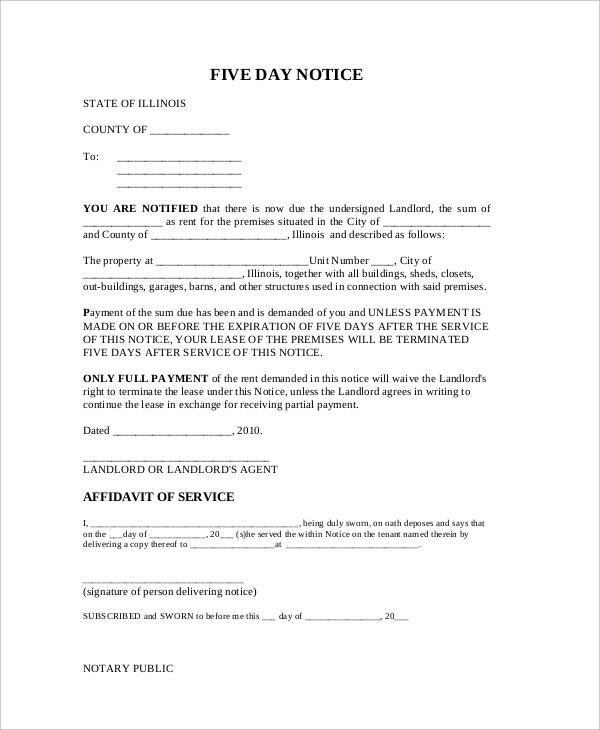 An eviction notice form is usually sent through an eviction service company, eviction notices service provider or through the contracting company by the landlord. 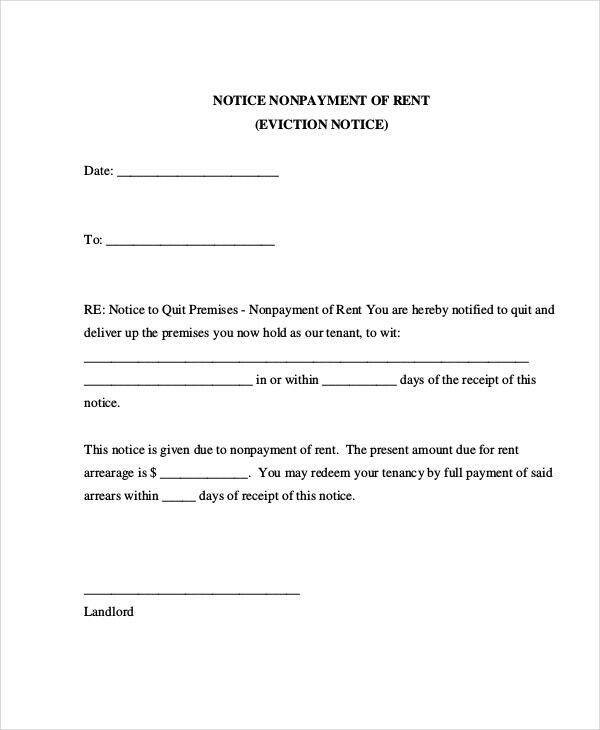 Here is another printable eviction notice form created especially for nonpayment of rent. 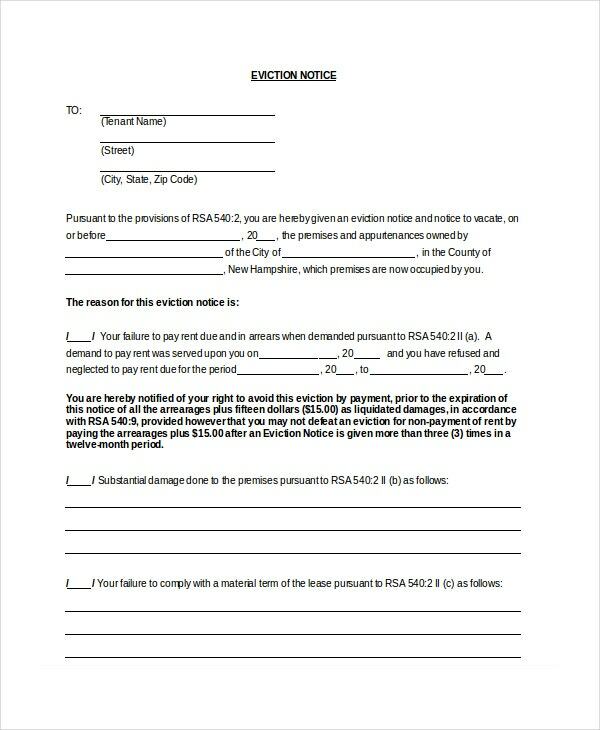 With this eviction notice form, you can send a professionally created notice form to the tenant to request their eviction within a defined period. Get this eviction form downloaded online and send a notice to your tenants about their eviction. It has been created professionally in a printable format. Get it printed on a good quality paper and customize it with your personalized requirements and details. 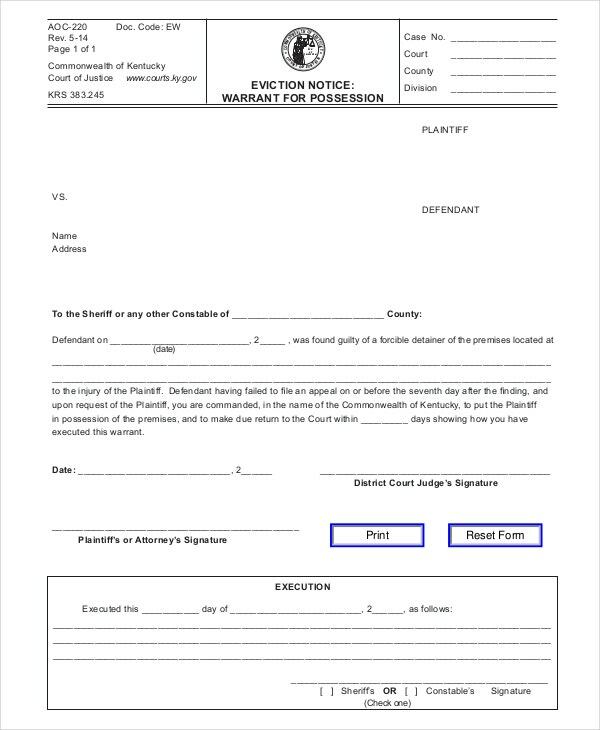 These printable eviction form templates can be used solely by the landlord, any eviction service provider, eviction company or any legal expert associated with the eviction service. The most important target audience of these notice templates includes landlords and the eviction service companies as these are directly associated with sending notice forms to the landlords. These samples can also be used by the revenue department for vacating any government space from individuals, group of people or organization that have illegally occupied the space. These come pre-designed professionally and you just need to make a few edits as per your particular requirements. These can be used in printed format as well. You can also see Tenancy Notice Templates. 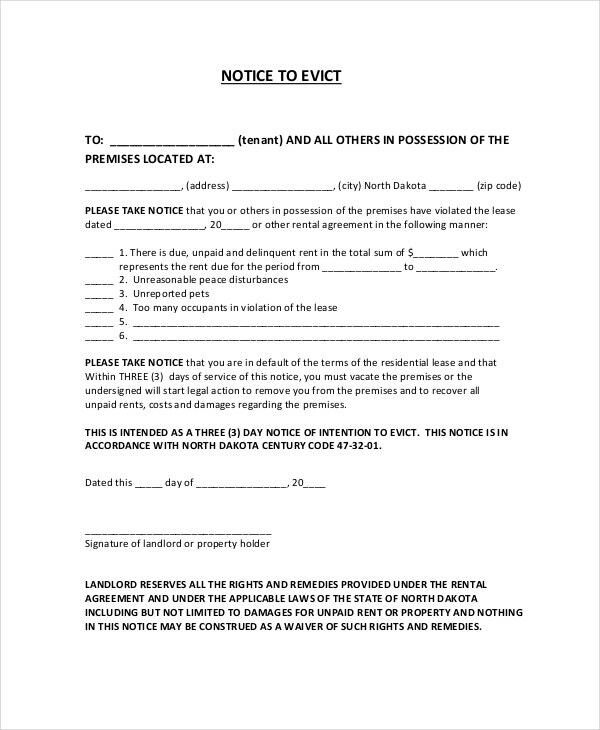 Here is another professionally created tenant eviction notice form created thoroughly for landlords or eviction service providers to send to the tenants in order to make them vacate the property within a specified period. Download it now! > What are the Benefits of the Printable Eviction Form Templates? Among countless benefits of the printable eviction form templates, here are a few major advantages. These notice to vacate samples make it easier and quicker to create a notice letter for the tenant. 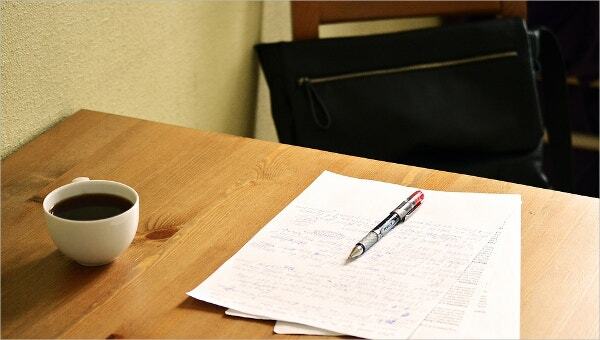 Here, everything needed is pre-written and organized in a wonderful manner. You just need to edit the text as per your particular requirements. One of the other major advantages of these templates is that these are ready to print. It means. you can use these formats in both printed as well as in digital form by doing a few customizations. These provide you an ideal way to make tenants vacate your space within a specified period. The eviction notice forms also work as a legal proof of notice for the landlord. 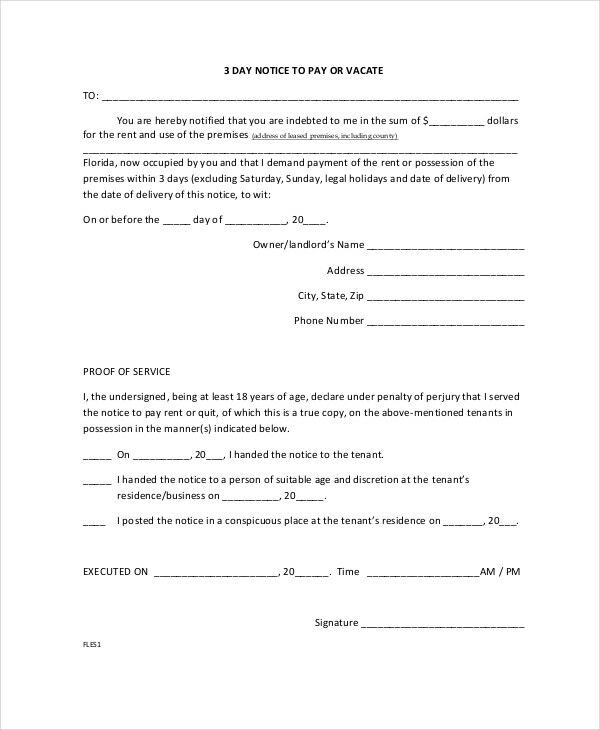 Are you looking for a perfect printable eviction form templates to send to the tenants? Check out these eviction notice forms and download the suitable one. You can get these customized within minutes. A suitable notice template can also be utilized as a late rent notice by making certain changes in text, as per the requirement.